Mr. Simpson joined the Kaplan in 2002, is a principal and the CFO of the Kaplan Management, and had seven years of investment banking experience prior to joining Kaplan. He advised senior management regarding mergers and acquisitions and raised over $4.8 billion of capital for a variety of projects. Mr. Simpson has extensive experience in deal-structures, including high yield and investment grade debt, public and private equity offerings, bridge loans and other senior credit facilities, mezzanine financing, and various interest rate and commodity derivative transactions. 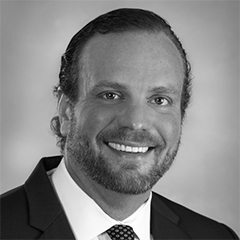 His primary responsibilities with Kaplan include the study of apartment market economics, site selection and due diligence for acquisitions and development, financial reporting, serving as the primary contact for investors and lenders, and coordination of employee benefits. Mr. Simpson has been involved with $350M in acquisitions and $770M in development since joining Kaplan. Mr. Simpson has a BBA in Finance from the University of Houston and an MBA from the University of Texas at Austin.